Thanks to the success of BBC's 'Planet Earth' and Documentaries such as 'A Plastic Ocean' and 'Before the Flood', people are more interested in protecting our environment than ever. 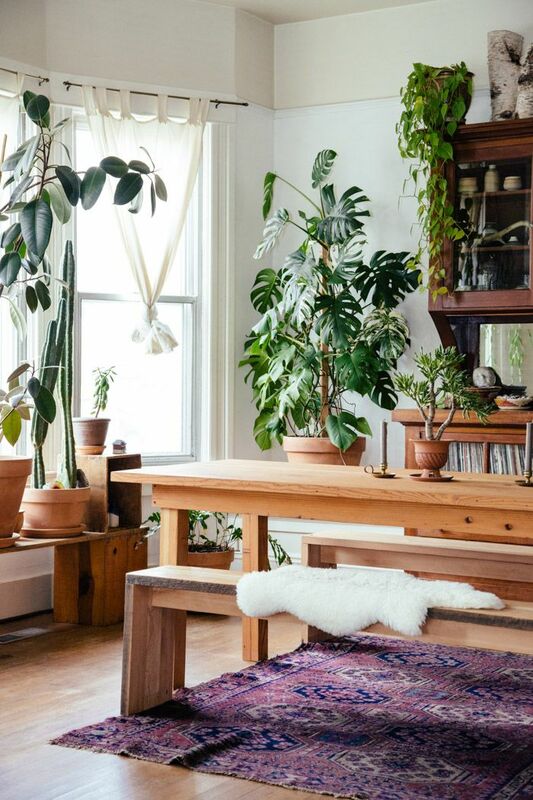 To help you out this Earth Day we've made a room-by-room guide to help make your home more eco-friendly. 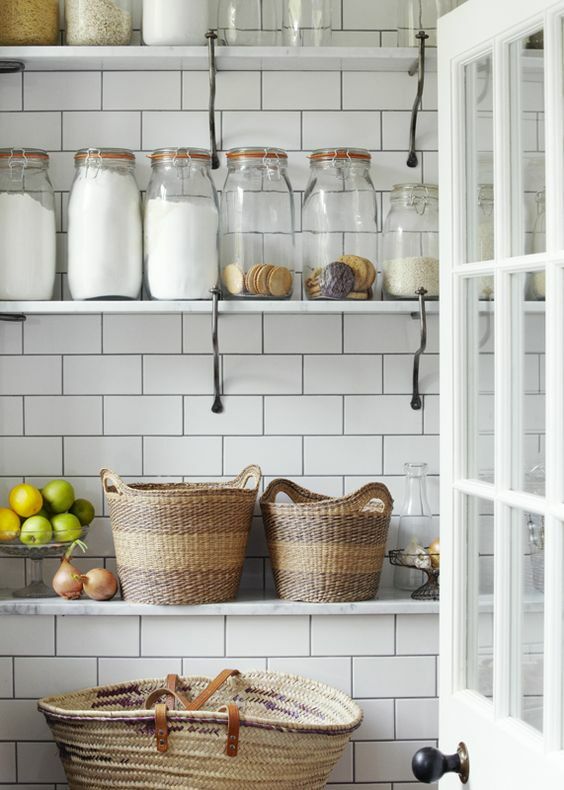 One of the easiest eco-conscious changes you can make for your home is investing in glass jars for food storage. Not only does this reduce unnecessary waste caused by accidental repeat purchases, but it means you can buy items in larger quantities and reduce the plastic waste from buying ‘little and often’. Best of all, you can pick up a variety of different types or even reuse food jars; get a label maker and spend a rainy afternoon feeling good about your eco-friendly home while labelling your new jars. Do you ever wonder what happened to the cracked screens of the phones you’ve dropped or sent for recycling? 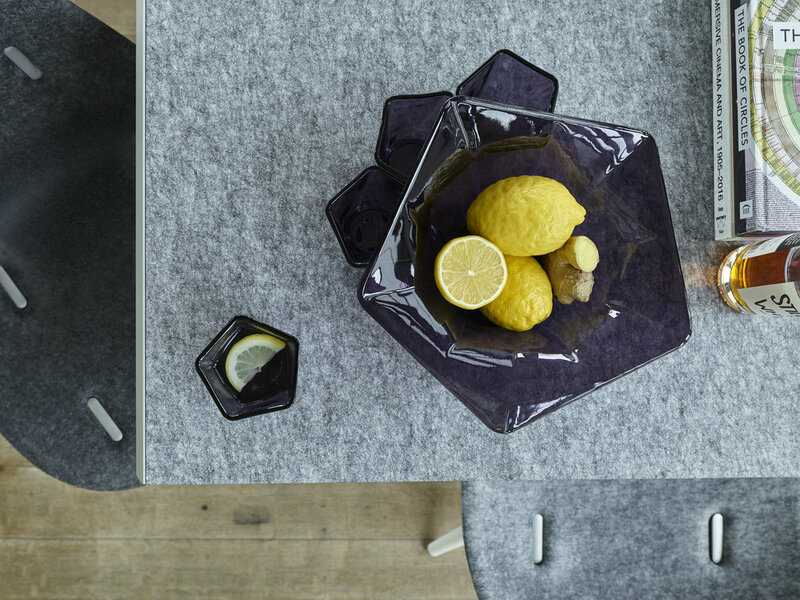 Well, London and Berlin-based company, Pentatonic did and now use these screens to produce beautiful, sculptural glassware. Founders Johann and Jamie are committed to making our waste the furniture of the future. What’s more, if you no longer have a need for them later in life, Pentatonic will buy them back from you; a sign of their commitment to sustainability. These glasses and bowls will be the exception to the rule: “No phones at the table”. 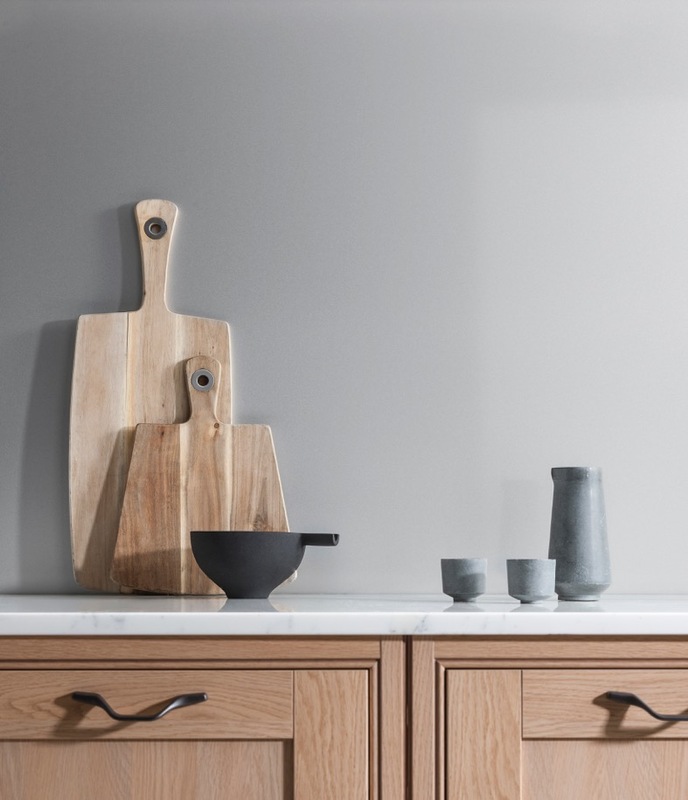 So, we have established that there are many eco-friendly accessories available for you to purchase for your kitchen, but why not make your components eco-friendly too? AluSplash produce aluminium-based splashbacks for your kitchen; all of their pieces are post-consumer recyclable and require less energy to produce than traditional glass splash-backs – and there are no greenhouse gas emissions during production. Remember, small steps such as making the conscious decision to purchase eco-friendly options for your fixtures can make a huge impact. Traditional fireplaces are now more commonly used as decoration pieces – we have even seen some used to store books. Wood-burning and multi-fuel stoves are quickly replacing open fires as the way to warm your home; these Ecodesign-ready stoves from Arada have been designed to produce far fewer emissions than an open fire or old-style stove, making them the perfect eco-friendly choice for keeping your home cosy in those colder months. Fast Fashion and consumer culture has quickly made the fashion industry one of the Top 5 polluting industries. As consumers constantly purchase items to keep up with short-term trends, we create a vast excess of waste that government agencies are struggling to control. The Future Kept has dedicated itself to creating high quality items that encourage people to think carefully about their purchases. These are timeless pieces designed to last and inspire people to shop more ethically. 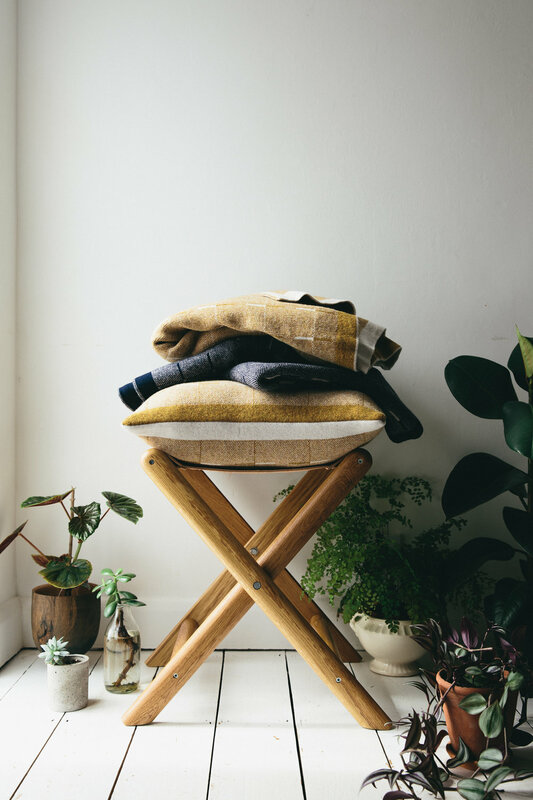 The brand’s throws and ceramics are so simple and beautiful you wouldn’t even think of throwing them away. We all love redecorating our spaces; a fresh lick of paint in a bright new colour can transform a room from drab to fab in an instant. 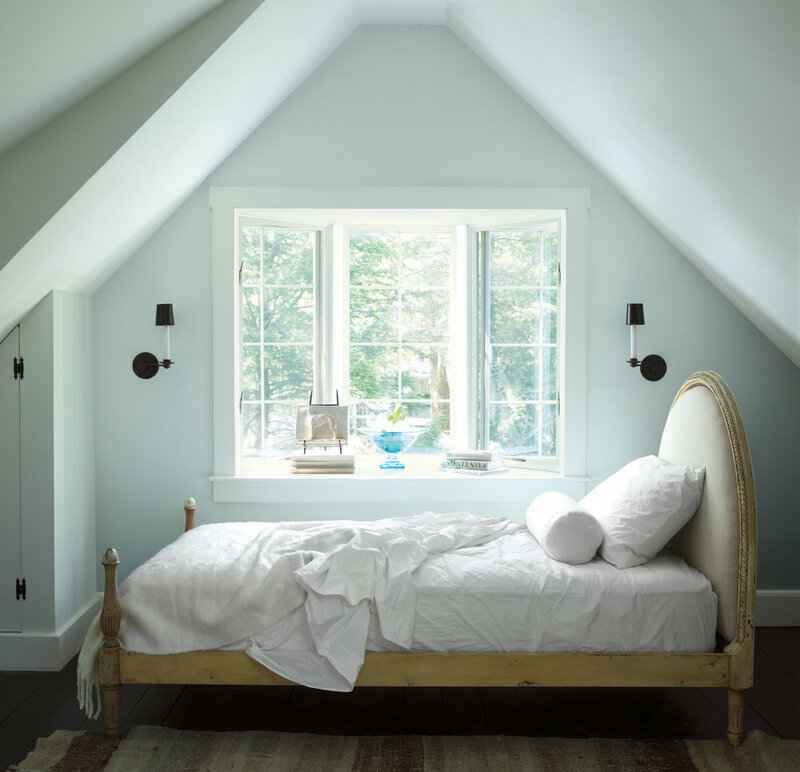 The Natura collection from Benjamin Moore now means you can paint with a clear conscience. Its slogan, ‘Green without Compromise®’ sums up the range perfectly - these non-toxic paints are emission-free in their production and are asthma and allergy friendly, making them the ideal choice for eco-loving home decorators. 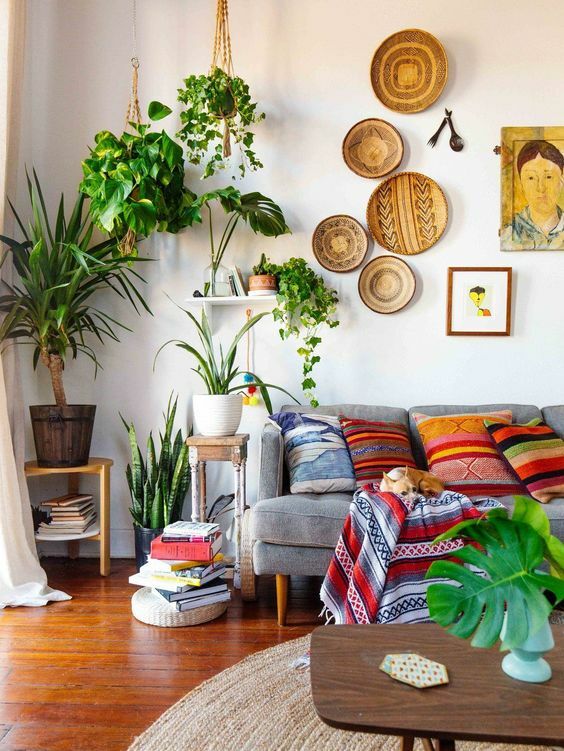 Even though you didn’t need another reason to fill your home with plants, we’re giving you one: the environment. 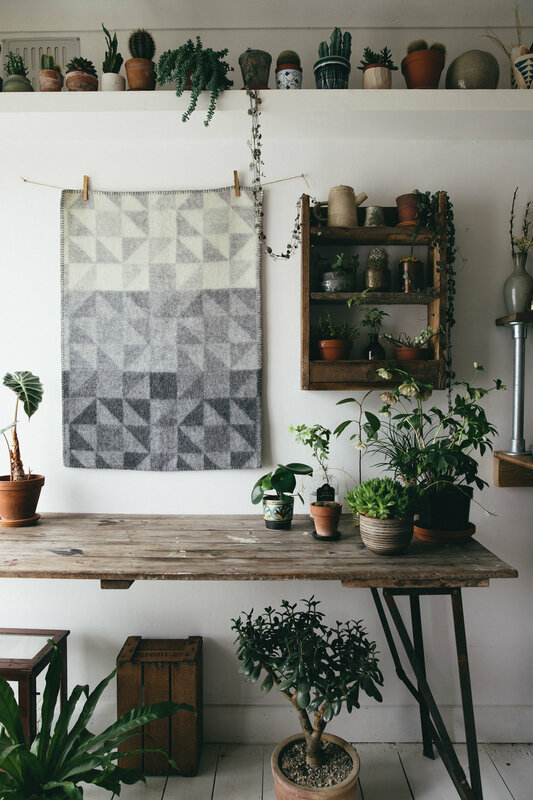 Plants have endless benefits and can transform the aesthetic of your space in an instant. Choose from a wide variety of different shapes and sizes and place them all over your home – your office, bedroom, living room etc. the list is endless – to help purify pollutants and boost your mood. In the UK 38.5 Million plastic bottles are used every day; only half of these will be recycled, the rest will go into landfill or be burned. The Fine Bedding Co. has developed a use for some of these plastic bottles: the Nimbus Pearl SMARTDOWN range (Right). The filling of these sustainably sourced cotton duvets is made from recycled plastic bottles; the fibres of which are spun to mimic the feeling of a down duvet. It doesn’t end there though, at the end of this month The Fine Bedding Co. is releasing a new Eco range – its carbon footprint is 44% less than that of the polyester industry standard duvet - made entirely of recycled materials. The range will be available to purchase in Debenhams from May 2018 starting from £129. Finally, you can curl up in luxurious bedding that doesn’t cost the earth. Sleep Soundly: Aspyn Ovard , The Fine Bedding Co.